Out on Snowden Lake, brothers we become. Our fires burn brightly until the day is done. Nothing says summer at “The Shoe” more than sunny, activity-filled days in the breathtaking waters of Lake Snowden. 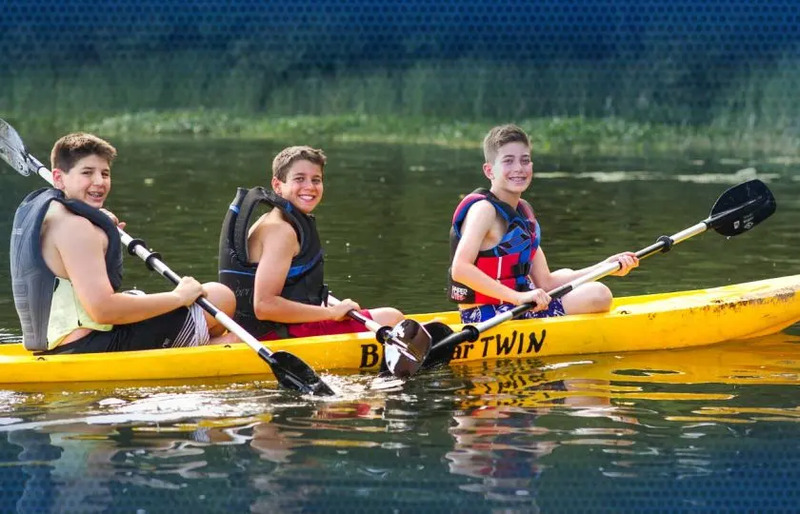 Offering the best in sailing, waterskiing, wakeboarding, tubing, canoeing, fishing, swimming, and more… the Camp Horseshoe waterfront is second to none! 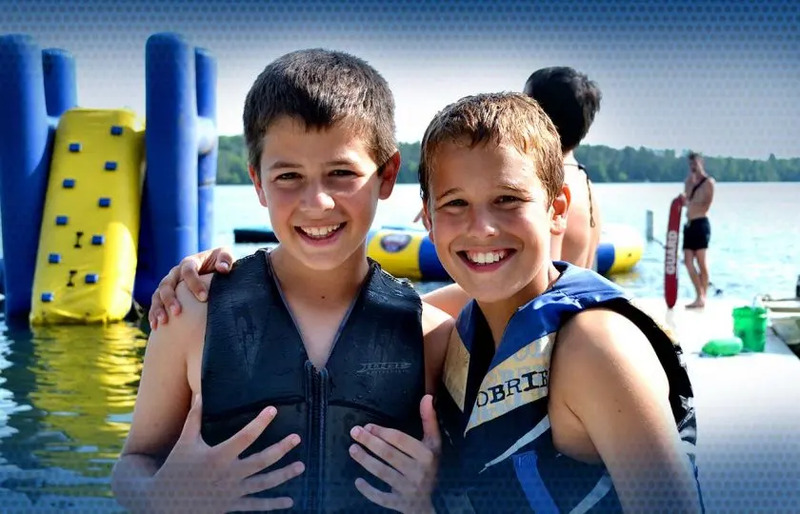 With 3000 feet of sandy beachfront, a fleet of sailboats, three Mastercraft competition ski boats, and a well stocked lake, our waterfront combines traditional lakefront activities with incredible amenities. 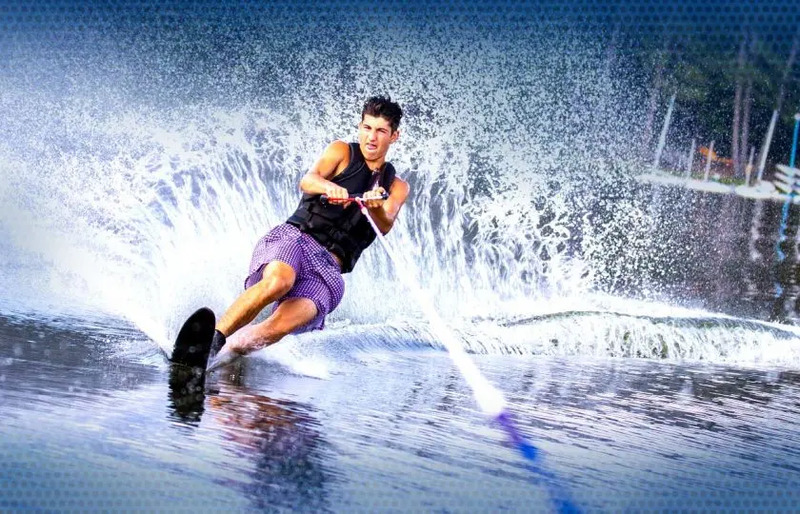 Known for our first-class waterskiing instruction, every camper from novice to pro has the opportunity to hone his waterskiing skills. 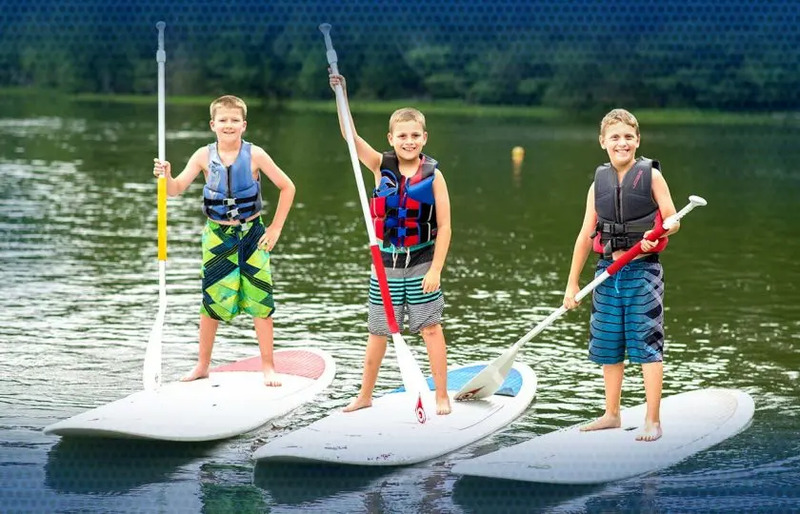 And while the boys are having the time of their lives, it is all being closely supervised by our American Red Cross-certified waterfront instructors. 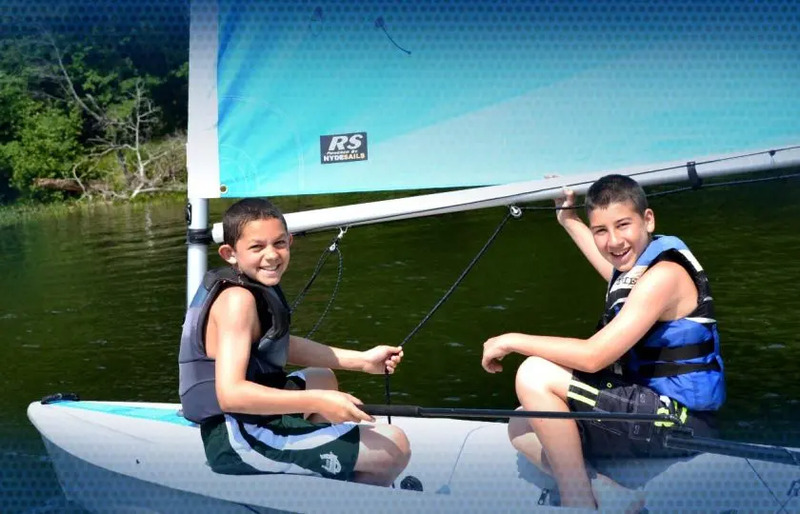 These highly trained waterfront specialists ensure expert instruction and safety at all times. 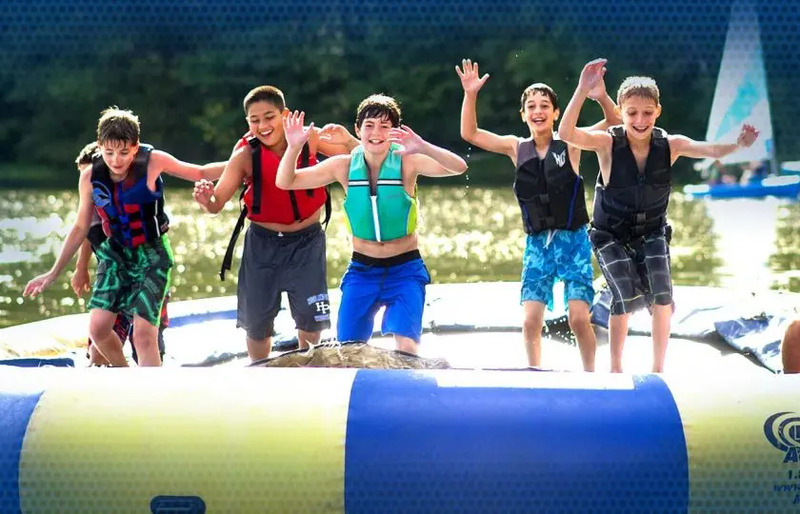 Jumping on the water trampoline, shooting hoops in water-basketball, ascending the aqua climbing wall—Horseshoe campers are flying high at our phenomenal waterfront!